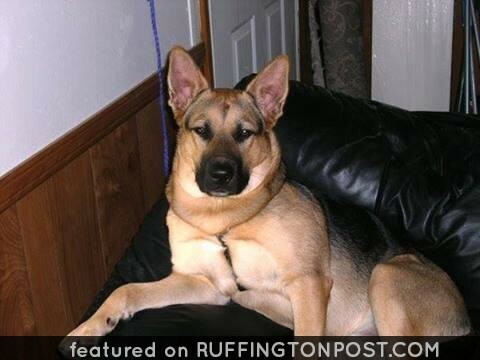 German Shepherds are full of energy and love keeping watch over their yards and homes. Does your German Shepherd keep a tight watch on your home? YES, He does, and the truck, and especially over me! He is my retired k9 and is now my Personal PTSD and Depression Service Dog. Azlin is my best friend, LOYAL AND TRUE! I will ALWAYS LOVE Azlin!! Another pic of my Azlin, laying by my side making me smile on one of my bad days, he is TRULY A BLESSING!! Love the German Shepherd. He look like my Sampson of 13 years. Yes my Tino takes pride in checking in on each family member to make sure we are all ok. He also checks the house to make sure everything is up to par. He takes very good care of all of us.